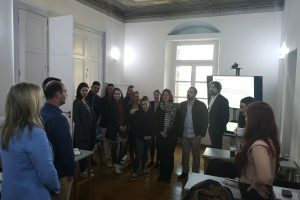 Job Opportunity for Resident Lectures at ELGS Greece. The posts will primarily operate out of the School’s facilities in Sounion, Greece. 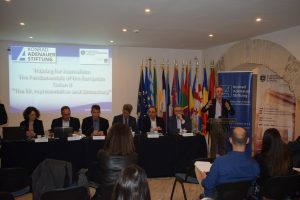 The European Law and Governance School (ELGS) is an international university school with a vision to educate the next generation of youth that will identify themselves as Europeans, that will serve Europe, and that will disseminate the idea, culture and values of Europe throughout the world. 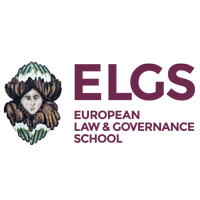 Headquartered in Athens Greece, the ELGS is an Agency of the European Public Law Organization (EPLO) and offers undergraduate and postgraduate programs in the fields of European law and governance. The ELGS seeks to appoint one Resident Lecturer for the 2018-2109 academic year to administer lectures and tutorials, supervise thesis, to conduct research projects, publish, and assist with coordination and relevant administration. Appointments are one-year with the option for renewal for up to five years maximum, and shall be subject to a formal employment contract with the EPLO. Candidates should hold a Ph.D, have a high standard of research and teaching ability, be published in peer-reviewed periodicals, books or other publications (including e-publications, and be fluent in the English language. Fluency in other languages is a benefit. Candidates should reside in Greece or be prepared to relocate to Greece. The posts will primarily operate out of the School’s facilities in Sounion, Greece, but teaching out of the facilities in Plaka, Athens may also be required. The 2018-2019 academic year starts on October 15, 2018 and successful candidates should start October 1st. This is an open call, so applications for future semesters and academic years are also welcome. Candidates will be expected to contribute to the preparation of academic programming in advance of their appointment. Remuneration of faculty will be in accordance with the Rules and Regulations of the EPLO, and the precise amount will be based upon each successful candidate’s experience and capacity. Successful candidates may have the right to special privileges granted to personnel working for international organizations. Eligible applicants should submit a cover letter and their full curriculum vitae to recruitment@elgs.eu, noting the courses that they can teach in accordance with the following programs found on the website of the ELGS: the LLB in European Law program, the BA in European Law and Governance program, the MA in Governance program and LLM in EU law program, as well as any research methods courses. All information can be found on the website of the school at www.elgs.eu. 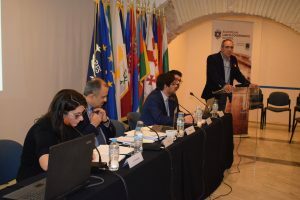 Candidates are responsible for checking their eligibility requirements to take up the post under Greek immigration regulations and, if shortlisted, they will be required to provide documentary evidence to support their right to reside and work in Greece. Please note that successful applicants will be granted a Letter of Invitation to support their request for a Visa. The EPLO has every right to withdraw, postpone or cease the recruitment procedure at any phase. Expenses incurred by the Applicant related to this process are their sole responsibility and will not be reimbursed. The EPLO operates as an equal opportunities employer.